WEST LAFAYETTE, Ind.  A national aviation and aeronautics organization is honoring Purdue University and the Purdue Airport for significant contributions to the history and development of the aviation industry and space exploration. The American Institute of Aeronautics and Astronautics will name the Purdue Airport  the country's first to be owned and operated by a university  to its list of historical sites at a private ceremony at 4 p.m. June 25 at the airport. The recognition not only honors the Purdue Airport's place in history, but also the role Purdue's graduates and staff have played in the 102-year history of powered flight and in space exploration. "Purdue has a long history of contributions to the fields of aviation and astronautics," said airport director Betty Stansbury. "This honor is a testament to the people who have made Purdue's programs some of the best, from pioneers like Amelia Earhart and Neil Armstrong to today's students who will usher in the next generation of advances and exploration." The recognition ceremony is part of a week of activities surrounding the Women's Air Race Classic, the country's longest-running and only remaining women-only air race. The race, which will include 41 teams of pilots, will begin and end at the Purdue Airport and run from June 21-24. Purdue's long history in aviation also was one of the reasons the university was selected as only the second university to serve as race host. John Norberg, whose book "Wings of Their Dreams: Purdue in Flight" chronicles Purdue's history in aviation, said many people refer to Purdue as the "Cradle of Astronauts" because of the 22 alumni who have been chosen for the space program. However, another name might be even more appropriate, he said. "Lots of people know about Purdue's astronauts, but you could also call Purdue the 'Cradle of Pilots,'" said Norberg, a senior writer at the university. "If you look at the history of flight, at every major development, every important achievement, Purdue alumni have been involved. To this day, if you fly on a commercial plane there is a good chance that there is at least one Purdue graduate in the cockpit." Perhaps Purdue's best-known connections to the history of flight are alumnus Neil Armstrong and staff member Amelia Earhart. 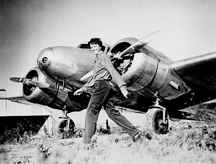 From 1935 to 1937 Earhart was a part-time staff member as a consultant on women's careers. She regularly flew out of the Purdue Airport and could often be seen in the skies above campus as she prepared for her round-the-world flight. 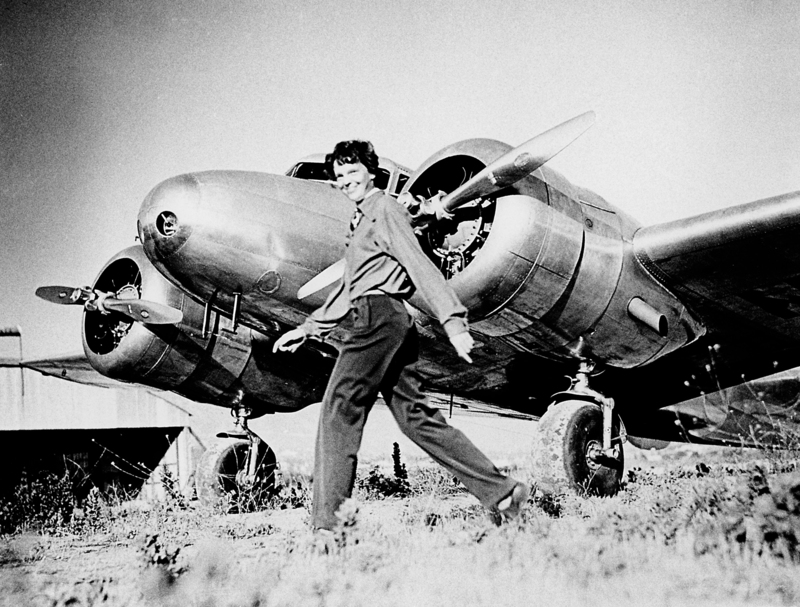 While at Purdue, Earhart not only developed her plan to circumnavigate the globe  the flight that led to her disappearance in 1937  she also served as a mentor and role model for female students. She gave several talks extolling the virtues of education and championing women's rights. She was an integral part of aviation at Purdue during her time on campus, and the Purdue Research Foundation helped purchase the Lockheed Martin 10E she used in her ill-fated attempt to fly around the world. Neil Armstrong earned a master's degree from Purdue's School of Aeronautics and Astronautics in 1955, and in 1969 became the first man to walk on the moon. Purdue recently announced it would recognize his achievements by naming a new engineering building on campus in his honor. "Amelia Earhart and Neil Armstrong are two of the most well-known and influential people of the 20th century," said Donald A. Petrin, an associate professor of aviation technology who nominated the Purdue Airport for recognition. "In addition to them, there is a long line of pioneers and innovators who have had an immeasurable impact on aviation and space travel, often both during and after their time at Purdue. All of that history is a part of the airport."  As early as 1908, Purdue graduate Cliff Turpin was helping the Wright brothers develop a more efficient and lighter engine for follow-up airplane models.  Jimmie Johnson, another Purdue alumnus, was one of the world's first test pilots.  In 1924 Purdue alumnus Frederick Martin commanded the first round-the-world flight.  Donovan R. Berlin, a 1921 Purdue engineering graduate, designed several important military aircraft in the first part of the 20th century, including the Chinook helicopter.  Starting with Purdue graduate Iven Kincheloe, the first man to fly beyond the Earth's atmosphere, Purdue faculty and graduates, many of them from the College of Engineering, have been an integral part of the space program, both on land and in outer space. Kincheloe graduated from Purdue in 1949 to become a top military pilot and was nicknamed "Mr. Space" by the press. In 1956 he set a record by flying his X-2 plane at an altitude of 126,000 feet.  Among Purdue's astronaut alumni are Virgil "Gus" Grissom and Roger Chaffee, who were killed in a launch pad fire in 1967 while preparing for the first Apollo mission. Grissom had previously flown on the Mercury and Gemini missions, and was one of the original "Mercury 7" astronauts.  In 1972 Eugene Cernan became the second Purdue alumnus and last person to walk on the moon.  As the professional flight program grew during the 1960s, Purdue became the first university to offer pilots a four-year bachelor's degree in aviation. 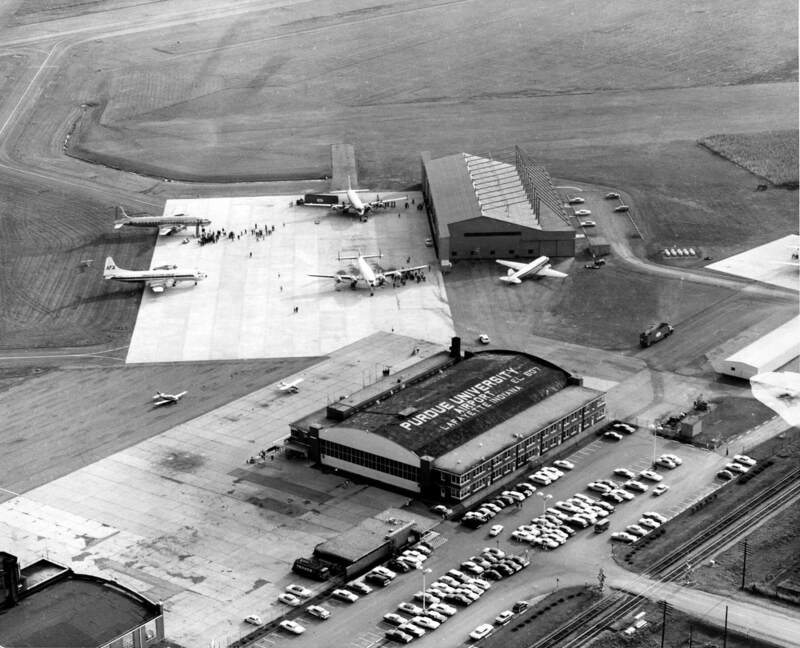 It also was one of only a few schools to offer a comprehensive aviation program, educating not just pilots, but also aircraft maintenance technicians as well as airline and airport administrators.  Purdue's School of Aeronautics and Astronautics was one of the first of its kind in the United States. Founded in 1945 as the School of Aeronautics, it helped meet demands of World War II veterans who came to the university after the war as part of the G.I. Bill. The university began offering a four-year program in aeronautical engineering four years prior in response to the educational needs spawned by World War II. Purdue's Department of Aviation Technology serves approximately 600 undergraduate and 35 graduate students at the West Lafayette campus and 61 undergraduate students at the College of Technology's Indianapolis statewide location. Consistently ranking among the top three aviation programs in the country, the department offers associate's and bachelor's degree programs in aviation management, aeronautical technology and professional flight. Graduates enter careers with airlines, airport authorities, aerospace manufacturers, corporate aviation and government agencies. Purdue's School of Aeronautics and Astronautics has produced the most aerospace engineering degrees in the United States over the past 10 years and has awarded 6 percent of all bachelor's and 7 percent of all doctoral degrees in the field over the last 50 years. The program began as part of the School of Mechanical Engineering and went through several incarnations. The school's 22 graduates who have been selected as astronauts are the most of any U.S. university other than the military academies. Founded in 1930, the Purdue Airport was the first university owned and operated airport in the country. It is the hub of the Department of Aviation Technology and Purdue's air travel. For more than 65 years, the American Institute of Aeronautics and Astronautics has served as the principal society of the aerospace engineer and scientist. Today it has more than 30,000 professional and 5,000 student members around the world. The group established the Historic Aerospace Sites Program in January 2000 to promote the preservation of, and the dissemination of information about, significant accomplishments made in the aerospace profession. More than 25 sites around the world have been chosen since the program's inception. In addition to Purdue University Airport, other sites recognized by the committee include the original Bendix Aviation Company in Teterboro, N.J.; the Boeing Red Barn, in Seattle; Kitty Hawk, N.C.; the site of the first balloon launch in Annonay, France; and Tranquility Base on the moon. Note to Journalists: Media can attend the recognition ceremony at 4 p.m. June 25 at the Purdue Airport.